Home Daily News Troy-based Food Management Company Continental Acquires Roseville’s Metro Vending Service Inc.
Troy-based Food Management Company Continental Acquires Roseville’s Metro Vending Service Inc.
Troy-based Continental, a food management company, today announced it has acquired Roseville’s Metro Vending Service Inc. Metro Vending’s staff will join the Continental team. Terms of the agreement were not disclosed. Metro Vending was in business for more than seven decades and will expand Continental’s client base, says Steve LaPorte, president of Continental’s refreshment services group. Over the last nine months, Continental acquired Satellite Vending Co. and 24 Hr. Vending. The company is also making investments in innovation and technology. 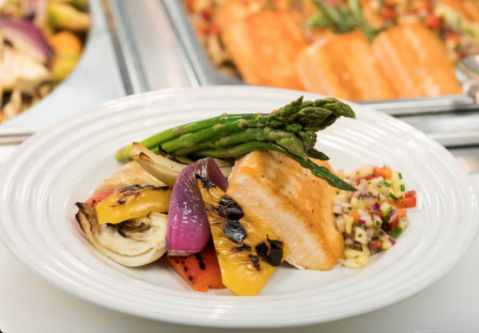 Continental provides custom dining, refreshment, and event services for more than 700 small and medium-sized businesses, corporations, colleges, universities, business and industrial sites, and hospitals and medical centers. It offers on-site corporate cafés, grab-and-go markets, traditional vending, and off-premise catering and event services. Marc Rosset of Professional Vending Consultants Inc. assisted as intermediary in the transaction. Previous articleHolland Mich.-based JR Automation Acquires Utah’s Setpoint Systems and Setpoint Inc.